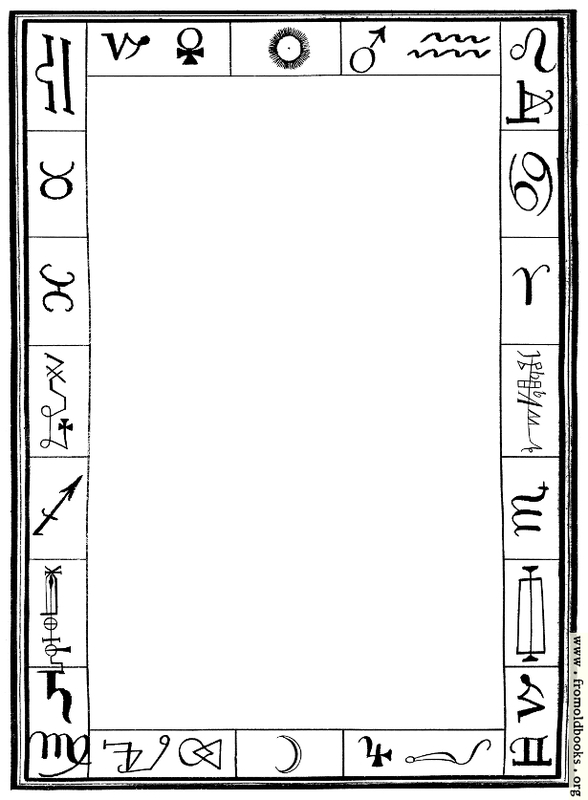 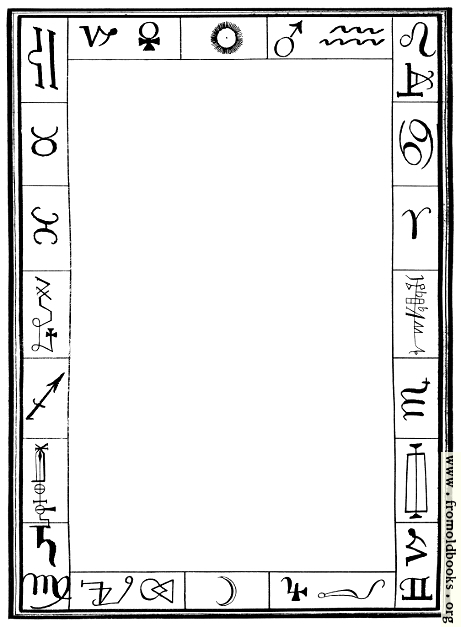 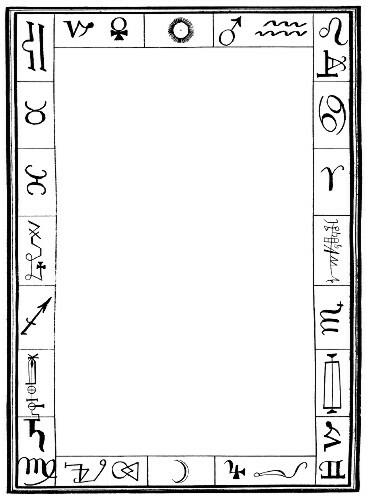 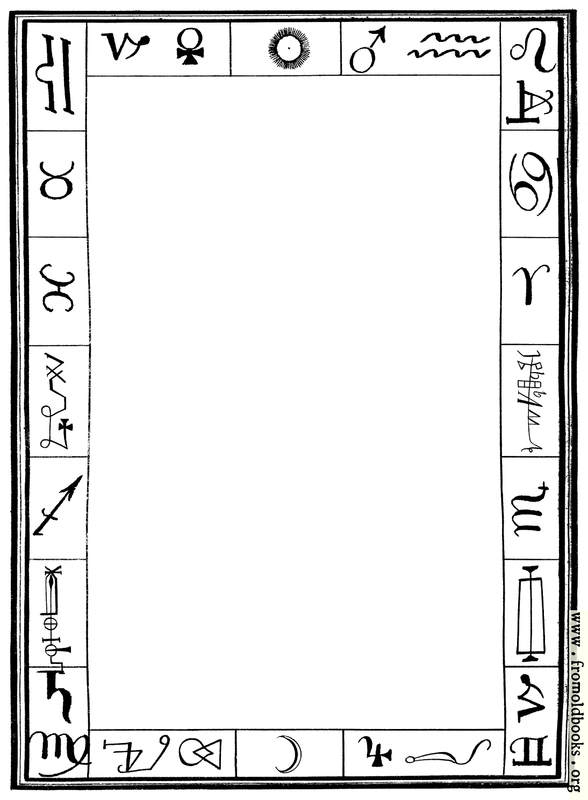 I made this full-page astrology border using some of the astrological and occult signs and symbols from the table Names of Angels and Days; the table is not square, so niether is this border, for a more antique look. 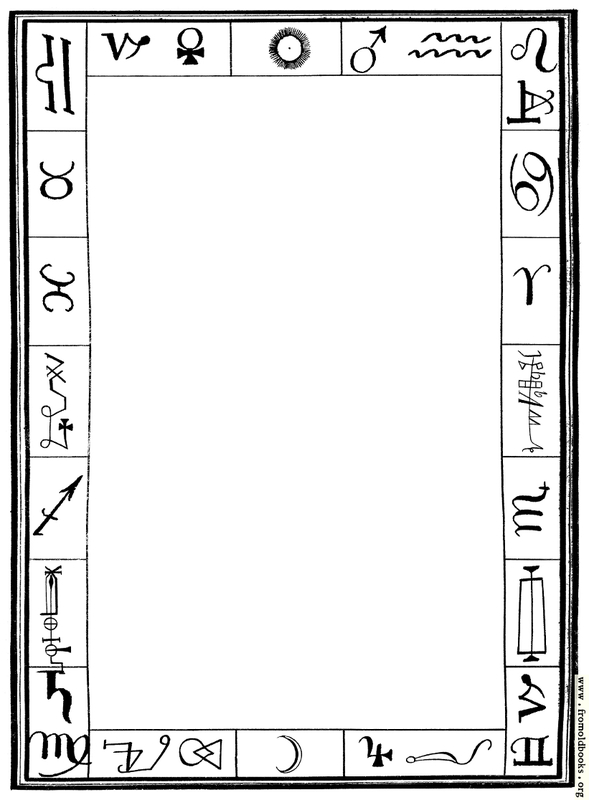 Actually this was from an engraving, probably on steel; I didn’t draw it, but rather, moved items around to make the border. 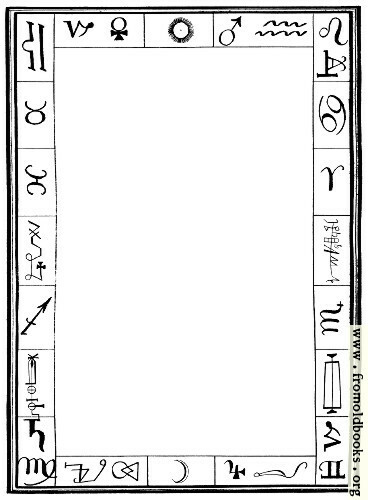 If there was an exemplar for the engraver, it’s likely a fine crow quill or a steel copper-plate italic pen was used.